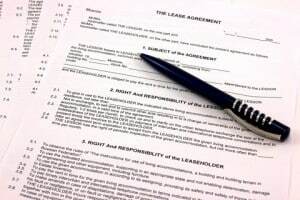 Co-Signer, Inc., which provides residential tenant rent assurance, just announced that it has expanded its services on the East Coast, including New York City. The provides its fee based tenant service to those who may have no credit or poor credit due to a short sale, a bankruptcy, inconsistent employment, a long-term health issue or other circumstances. Typically these tenants are able to afford the rental payment for the new residence they seek. However, superficially their credit scores and financial profile do not readily qualify them with the prospective landlord. Cosigning services are available whether the tenant seeks a single family home, condominium, townhouse, or apartment anywhere in the United States. “New York City is a very strategic market for the Company with its high demand and acceptance of rent assurance for the past several years. We are very pleased with this addition to our list of clients on the East Coast and look forward to expanding further in the tri-state area,” said Darren Magot, Chairman and Interim CEO of Co-Signer, Inc.
Co-Signor.com, Inc.’s service area stretches nationwide from California and Nevada to the South including Texas, Alabama, South Carolina, Georgia and Florida. The company works with landlords in South Dakota as well as major urban areas in the Midwest, including Detroit, Chicago and Kansas City. The company touts its service as a tool that maximizes occupancy rates and cash flow for landlords.